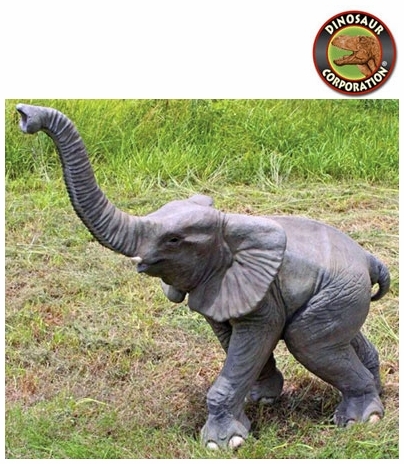 Baby Elephant Statue Outdoor Garden Sculpture. This adorable baby elephant calf, realized in a subtle yet natural palette of smoky greys, touches the soul with the innocence of its youth. Elephant calves are the "pets" of the herd; they weigh between 200-250 pounds at birth and grow at the astonishing rate of about two pounds each day! 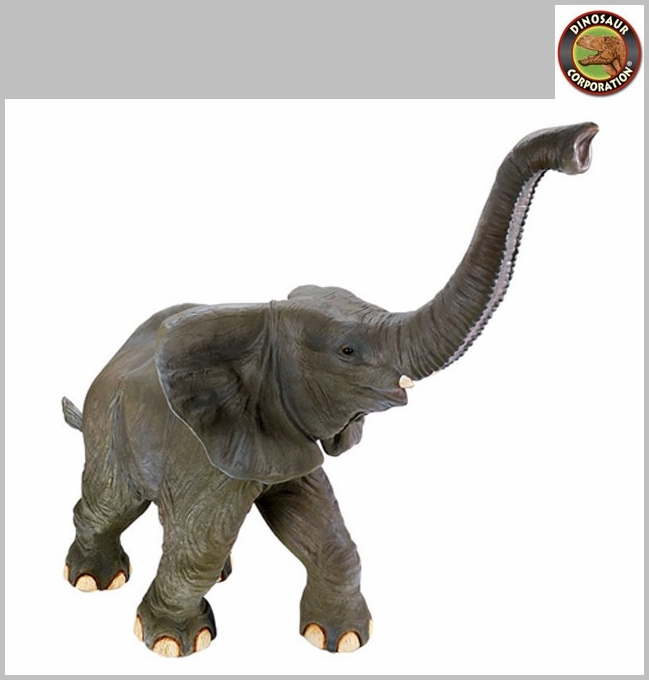 At over five feet tall, our baby elephant statue is an amazingly detailed garden centerpiece with painstakingly sculpted designer resin, faux ivory tusks and a wrinkled trunk lifted in a traditional gesture of good luck. * Size: 73" W x 32" D x 61" H.
* Elephant's height to top of head is 44"